I'me here to request a function that has already been asked by other users but you keep ignoring it despite it being a very simple function. BTW illustrator doesn't have it either, but there is a strange way to do it on illustrator. The function is the break apart combine text. It is difficult to explain, and I've seen a post of a user requesting the same function and you didn't understood what he was requesting. I send you an image for you to understand better. I use this function a lot, because I write the artistic text with using paragraphs, then I break it to resize or format each line, if I click Break again it will separate the words that are grouped in a single line on different objects. 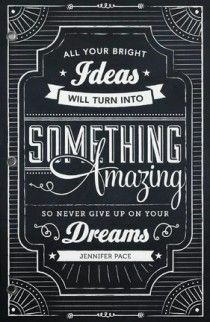 It is useful specially to do things like the design example image that I attached. NOTE: the break command maintain the fonts, it doesn't convert text to curves, that's the advantage. To make a slight correction, I don't think the staff is ignoring people's requests. With the betas and roadmap features going on, I assume their hands and budget are full. They still consider all feedback. So your request is to separate text so each line is editable. That's new. And from your screenshots, I didn't realize Corel did that. (Yes, I'm a nerd who can identify the program.) When you try to convert your text to curves, do you have the move tool selected? 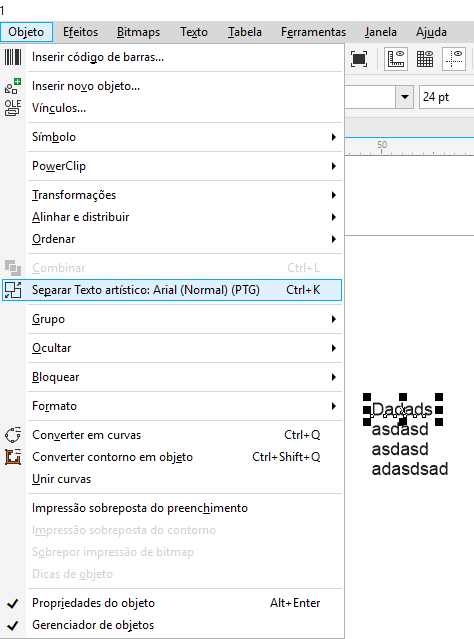 I'm really surprised that you identified Corel Draw despite it being in portuguese. Well, my problem isn't converting text to curves. And I think either you have the move tool or text tool selected you are able to convert text to curves on affinity designer. I just hope you keep Affinity Designer the most simple as possible, that is Affinity great advantage to Illustrator and Corel Draw. To be lightweight and with only the most needed tools. And for me this break and combine command is one that I use often. Illustrator is full of effects that a designer rarely uses and that makes the software heavy. The one I most use is the 3D effect. But even this one is dispensable. If a designer wants 3D it is better to use a proper 3D software. From the topics and feedback I've already read on this forum, I believe Affinity will stay lightweight and use only the most needed tools like you described. Even though all feedback is heard, requests for unrelated vector features like animation, RAW image support, and inpainting has been disregarded. And I agree if Affinity is trying to stay within a certain range, they should just follow the necessary features that make up what the program was designed for. Get it? If there are any suggestions on improving the work of vector editing and graphic designing, then I think it's worth being heard, whether they're added or not. I haven't heard of the feature you requested before, but I think it could come handy for others who use that approach in their workflow. So you are looking into dividing a paragraph of text so each line is a separate text path that can be retyped? Is that right? But, CD hasn't changed its interface tools too much over the last few versions--with the exception of being flatter icons and certainly with X8, fairly colorless. The break text is a handy command and I do use it frequently enough that I agree it would be handy in AD. Yes bleduc, we can edit the text. And that is what takes this feature so useful. 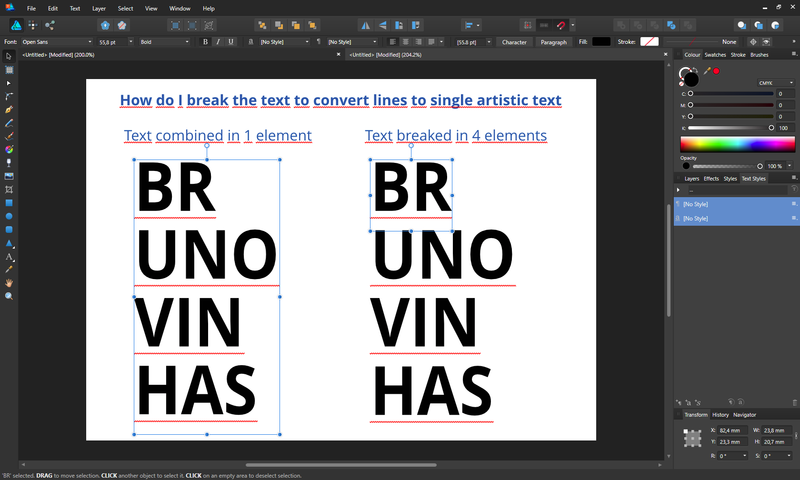 We can change fonts, modify the space between letters, etc. I only know front-end languages, but I think it is very easy to the programmers to add this very handfull feature. Can I plus 1 this request. It is a shame it isn't in the program. Thanks!